Freight Train Whitsundays is a two-day-one-night sailing tour that departs from Airlie Beach in Queensland Australia. The boat is an ex-racing boat that has been refitted with dorm-style bunks and galley (kitchen) to prepare fresh meals while on tour. 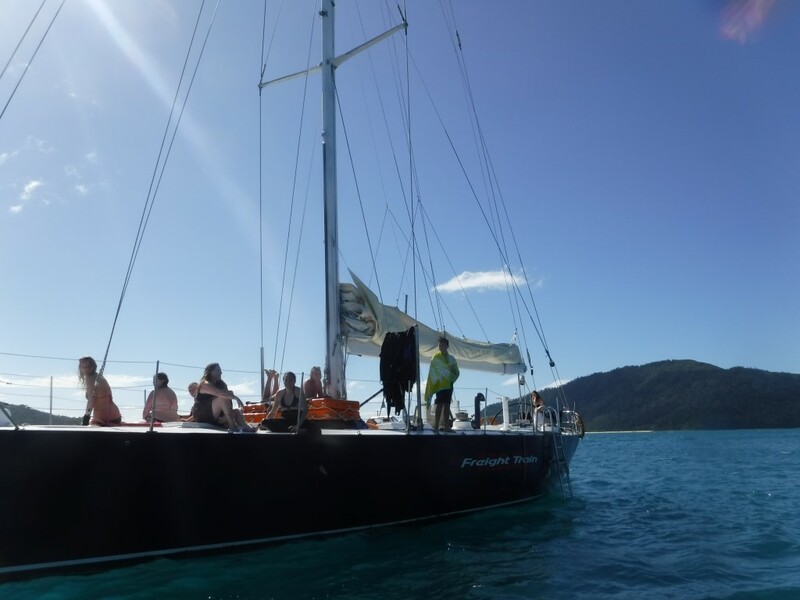 Kev owns the racing yacht, and he will also be your captain, Kev will make sure you get the most of your two day holiday by taking you to the best destinations at the best time so that you can be assured of a trip like no other in the Whitsundays. Freight Train Whitsundays runs 2 day 1 night sailing tours of the Whitsunday Islands in Queensland Australia. Come Stay onboard Freight Train Whitsundays for the night and relax under a blanket of stars whilst listening to the gentle ocean lap against the boat. See Whitehaven Beach and walk to the famous Hill Inlet Lookout , continually voted one of the top 10 beaches in the world. Whitehaven Beach is simply magic and with around 2 hours to spend there you will have plenty of time to explore, swim and take pictures. Snorkel the stunning coral in the Great Barrier Reef Marine Park that surrounds the Whitsunday Islands. 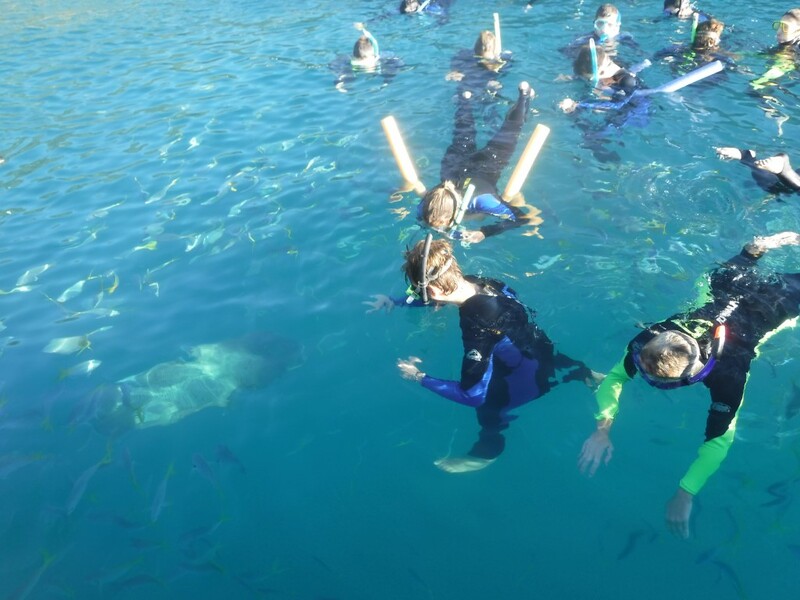 Jump into the snorkeling action during your Freight Train Whitsundays Tour and discover the glorious life that lives on our Great Barrier Reef. You are welcome to help with the sailing and learn the skills of sailing or just sit back and soak up the serenity . With 2 full days you can enjoy learning to sail a ex racing yacht around the gentle ocean we call home. 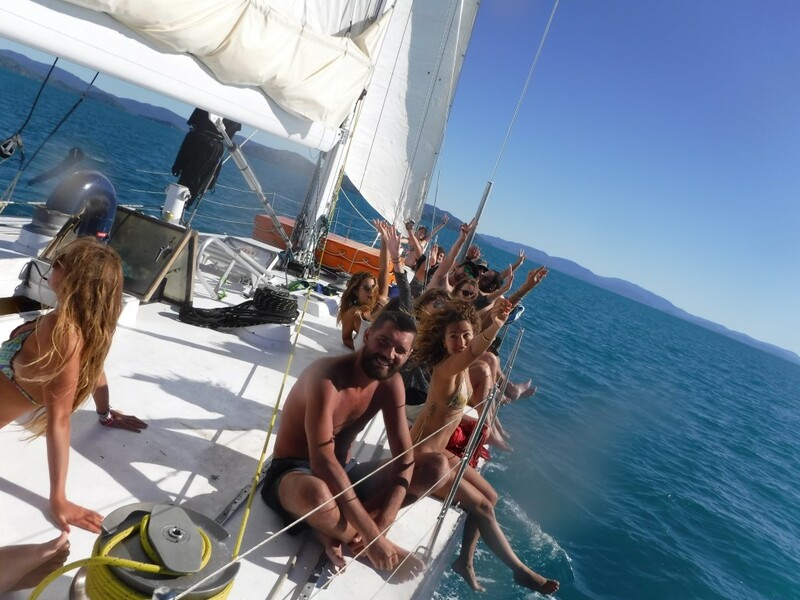 Our experienced crew will provide the ultimate Whitsundays Adventure to remember. Departing Every Monday, Wednesday and Saturday at 9am. Returning the next day around 4 pm. Freight Train takes 18 guests and 3 crew. Freight Trains Tour can include … Whitsunday Island, Hook Island, Hayman Island, Border Island, Whitehaven Beach. Freight Train Whitsundays 2 Day 1 night tour of the Whitsundays includes – 2 fresh lunches – 1 tasty evening meal – 1 continental breakfast , all bedding and linen, stinger suits and snorkel equipment. If you desire please bring your own snacks and alcohol. What Is Dynamic Pricing ? Think of Airlines….. Freight Train Whitsundays uses the same concept . Book Early and get the discounted tickets!